Atlantic City, New Jersey - Despite it never once working in the eight consecutive years they have tried, a local robotics team has decided to build another scissor lift. "It's what we know," Francis MacDougall, a senior, told us. "And all the best teams always tell us to do what we know." A tour of their shop shows their efforts over time. "It was hard to justify one in 2017 given the height limits," explains MacDougall, "but we made it work." "We actually tell them to stop building scissor lifts," says John Pollins, a mentor of one of their frequent pit neighbors. "Every year they build a scissor lift, every year it doesn't work, and every year they build another one!" John reports assisting them each year with getting inspection-ready and working. "They're almost always overweight so our team has taken to packing a special tote just for them," John says. 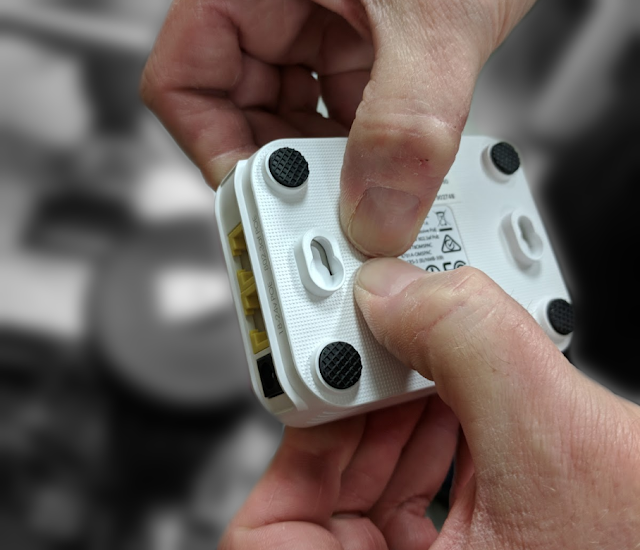 The tote usually contains various drill bits for creating lightening holes, and a variety of low-weight plastic components to swap in for their heavier metal counterparts. "They don't even use aluminum fasteners!" John says, exasperated. 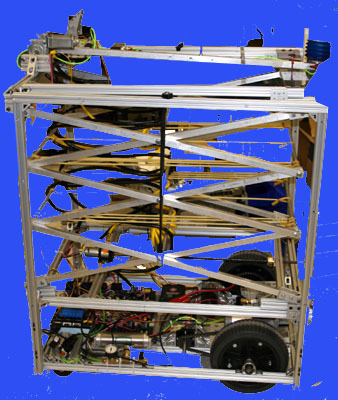 A scissor lift has been the core design element of the team's last eight robots, even when the game objectives and robot restrictions make it challenging. "It's actually quite inspiring," said their regional's veteran and long-suffering MC. "Despite years of results showing that scissor lifts are not good, they still manage to shoehorn them into their design." The team, who's last elimination round appearance was as a back-up bot, still believes in the core principles behind their design. "I just got a $2000 scholarship to a prestigious engineering program with an essay about our design process," MacDougall told us. "They wouldn't have given me the scholarship if scissor lifts sucked."